The days are gone when individuals solely rely on career section in newspapers to find a dream career opportunity. The internet has revolutionized the traditional practices of job hunting. Now a day’s people conveniently log into their systems anytime either to start an independent search or to get them registered at any of the reputable recruitment agencies. Despite offering them flexibility, world of web can cause them to face very unpleasant consequences with scams. Candidates could even lose their identity, money and time. Whether you are searching a position in your home country or you are seeking for a bright opportunity abroad to better support your family, you should keep your eyes and mind alert to identify if an offer is a scam. Receiving emails of fake offers with excellent remuneration packages have become so common these days. This usually happens, when you register yourself with a job board or employment consultancy. These fraudsters capture candidates’ data from these sites and start sharing fake career opportunities according to the qualification and skills of these candidates. However, protecting client’s data is the core responsibility of an agency and several good HR consultancies in UAE are already doing it well while providing suitable opportunities for candidates. 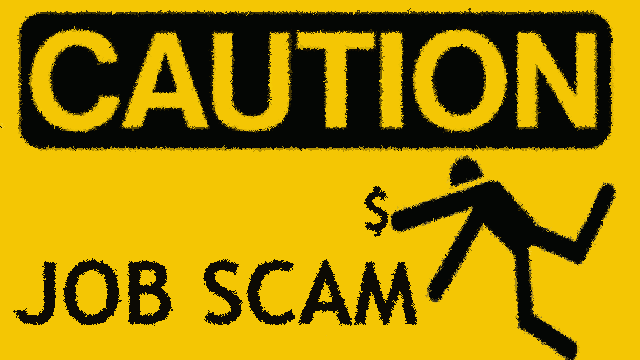 Here I am sharing few key steps, being a candidate you can take to protect from job search scams. Never share financial & personal information unless your mind is free of doubts. Credible employers and owners don’t ask for social security number, bank account, PIN codes and credit card information. Generally, social security number is required after final selection to complete the hiring process. Unless you are not sure the company is actually existing and legally authorised, don’t share such information. Don’t say yes to deposit salary directly into your personal account, account information is critical and confidential. Don’t provide the detail to an employer in the first attempt. Unless you don’t get proof that the company is legitimate. Especially, if it is a home-based work. Don’t work with recruiters who are asking money to provide position, legitimate hiring firms, don’t ask any money from the applicants. Rather, consultancies get paid from the companies for whom they are assessing and placing candidates. Ignore ads & emails stating no skills and experience are required, even if the position is created for a fresh candidate, at least it includes requirements of specific education and formal job description. Whereas, for senior level position vacancy ads carry complete information of skills required to execute duties efficiently. Carefully observe the email address and details for random offers, it is very common to receive random email offers from unfamiliar and renowned employers even. Scammers make fake email ids, which might look like a genuine id. Corporate always use personal ids made on their company domain to communicate everyone on the behalf of their organisation. In contrast to that false ids are always made on free emailing sites like yahoo, Gmail and Hotmail. Mark such emails spam and don’t pay attention even to reply such messages. Don’t hesitate to ask for more details, if you don’t find sufficient information about the position in an email. Whether it be hazy compensation package or it is unclear job description and qualification, being an applicant, you have the right to ask them for more details. Don’t consider ads, which are emphasizing to provide guaranteed employment, how a consultancy or an employer could ensure to provide opportunities to applicants even before assessing and analysing his skills. Also, don’t consider those who offer to send a postal for government job against paying money. Summary: Whether you are searching for an opportunity online or working with an employment agency, try to harness the benefits of these resources carefully and avoid scams.